Storage devices include any device used for storing and retrieving digital information. Hard disk drives (HDDs) use one or more rigid ("hard") rapidly rotating disks (platters) coated with magnetic material. Data is accessed in a random-access manner, meaning that individual blocks of data can be stored or retrieved in any order and not only sequentially. The primary competing technology for secondary storage is flash memory in the form of solid-state drives (SSDs), but HDDs remain the dominant medium for secondary storage due to advantages in price per bit and per-device recording capacity. CD-RW (Compact Disc-ReWritable) is a digital optical disc storage format that allows information to be stored outside the mechanical HDD. In the following article, I will share some simple but effective methods to erase your data permanently from hard disk drives so no one can recover it. Nicely written article. Enjoyable read. Thanks for sharing it. We look at whether swapping a controller board on a failed hard drive is likely to solve the problem. 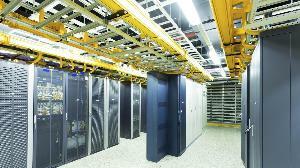 When we purchase storage, we typically are advertised storage of 500GB, 1TB, 2TB and so on. However, when you actually install it into your computer, your 500GB HDD will actually show up as 465GB. Why? It has to do with the way people and computers use numbers and do math. This time, I expand on more frequently used storage concepts. 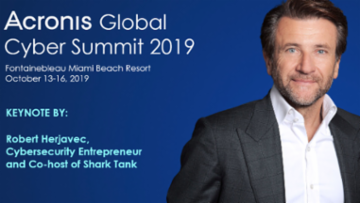 Thanks for publishing such a great article here Carlos ! Ever notice how you can't use a new drive in Windows without having Windows assigning a Disk Signature? Ever have a signature collision problem (especially with Virtual Machines?) 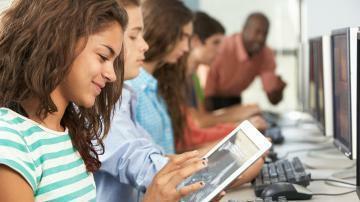 This article is intended to help you understand what's going on and fix some common problems. Sure. But I suppose that for each platform there will be a way and to copy and re-use a disk file using explorer is not the supported way in the first place. I can see an argument could be made to provide advice on proper ways of copying VHDs... but my point to the article was handling collisions and correcting them when they occur... With virtual disks being the easiest way to demonstrate the issue (and often to have it). Feel free to post in links of "proper" ways to copy virtual disks (I've never seen one from MS, but I haven't looked either). HDD vs SSD vs SSHD : Which storage device should you choose for your Laptop and PC ? 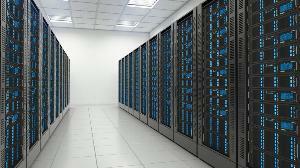 In this article you will get to know about pros and cons of storage drives HDD, SSD and SSHD. Thank You Jorge :) for upvoting my article. Yes very true, now these days SSD are becoming popular and prices are also dropping. Now we can hope for more SSD availability in market at low prices. Good article, just would like to add one important fact that seldom gets mentioned, for laptop users in particular. If using SSD and not doing regular backups of your files will leave you with very low probability of data recovery in case of accidental deletion of data. 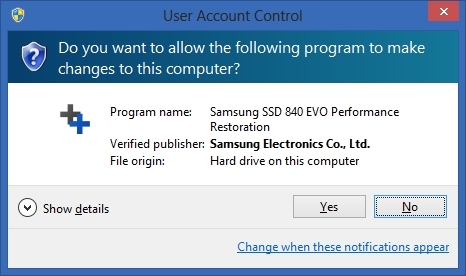 This is due to the way the SSD drive itself works. 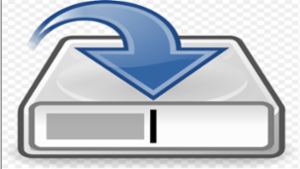 User deleted data become unrecoverable VERY fast. One a desktop computer on the other hand, running the operating system off an SSD while keeping user files on a 2nd large HDD is an optimal solution to enjoy some performance boost. So for a normal home user who possesses a laptop only, like my daughter, I'd definitely go for an SSHD or a traditional HDD. As an example, she panicked when accidently overwriting her picture library.... luckily it was stored on an HDD and all pictures could be recovered. 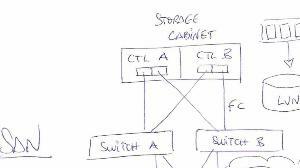 More or less everybody in the IT market understands the basics of Networking, however when we start talking about Storage Networks, things get a bit dizzier, and this is where I would like to help. Samsung recently released a fix for this problem in the form of "a new firmware and performance restoration software package for the 840 EVO and 840 EVO mSATA." Article Update: Thanks to the heads-up from ScottCha in his comment on 15-Jul-2016, I have concluded that the "Performance Restoration Software" is no longer available at the Samsung website. While the first link below is still valid and takes you to the Tools download page, the "Performance Restoration Software" is not there. The Samsung Magician Software and the firmware updates are there, so I'm guessing that Samsung views those as the solution to the problem. If anyone reading this article has more information to offer, please post a comment. 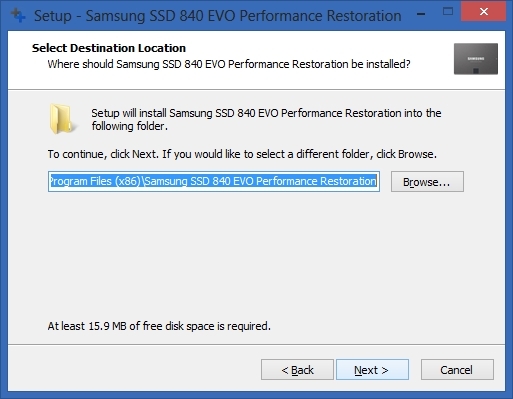 Article Update: The two links below no longer work and I cannot find the "Performance Restoration Software" anywhere at the Samsung website. 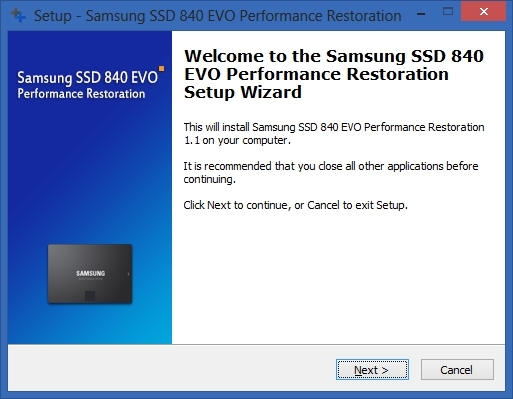 My suggestions at this point are to update your SSD's firmware and use the Samsung Magician Software, both of which are available at the link above. I encourage you to read that manual thoroughly before installation, as there are many caveats in it — see the "Precautions" and "General Limitations" sections. A caveat of my own: When the firmware update reached the 80% completion point, I received a Windows message saying that new hardware was detected and that I should reboot. I suspect this occurred because the firmware update reached a point where Windows Plug and Play kicked in and detected the "new" drive. Unfortunately, this is not documented in the Samsung manual. I did not know if I should do the reboot at that time or wait until the firmware update completed at 100%. I opted for the latter, as I was quite sure that stopping the firmware update at 80% wasn't a good idea — and it worked out well. I also felt protected on the decision, as I had done a clone of the SSD to an external (USB) HDD using Casper. 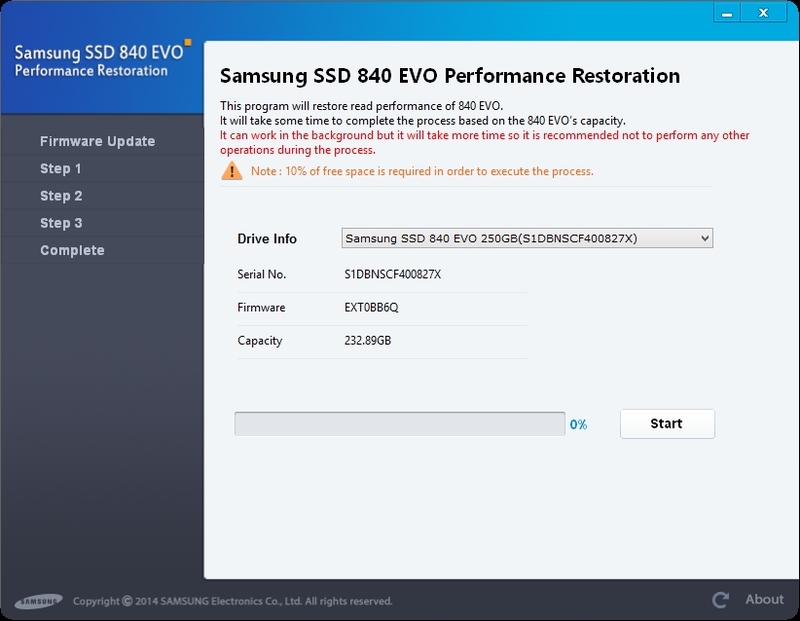 So even if I bricked the SSD, I could get a new one and clone to it from the HDD. And that's another caveat — I strongly recommend doing a clone before undertaking any firmware update of your primary drive. 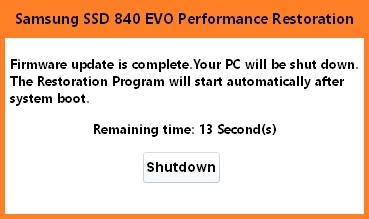 The installation on the W7 Pro 64-bit laptop with the 250 GB SSD 840 EVO worked perfectly. After a few days of use, I can say that performance is significantly improved — back to where it was when I first installed the SSD around 2.5 months ago. However, I can't be certain about cause and effect. This experience is anecdotal, not statistical. 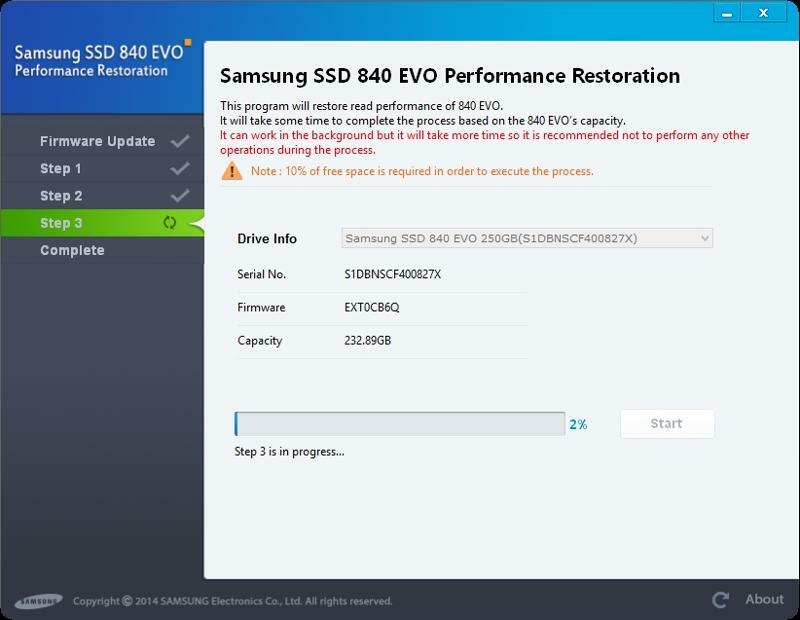 I pass it along for other EE members to consider if you are having performance problems with your Samsung SSD 840 EVO or 840 EVO mSATA. Article Update on 17-December-2014: I ran the software again last night on a Windows 8 system, this time capturing the screens along the way for this article. As I already mentioned earlier in the article, I recommend heeding this warning and creating a clone (or image) of the drive before running the program. One difference between this run and the previous one is that this one did not prompt for a reboot at the 80 per cent completion mark. I can't explain that. It is possibly due to a difference between W7 and W8, but I don't know. 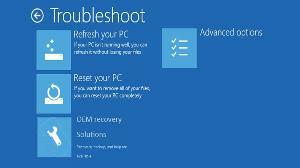 The installation on the W8 Pro 64-bit laptop with the 250 GB SSD 840 EVO worked perfectly. After some use last night and this morning, I can say that performance has improved. However, as I stated with respect to the W7 system, I can't be certain about cause and effect. Like the previous one, this experience is anecdotal, not statistical. 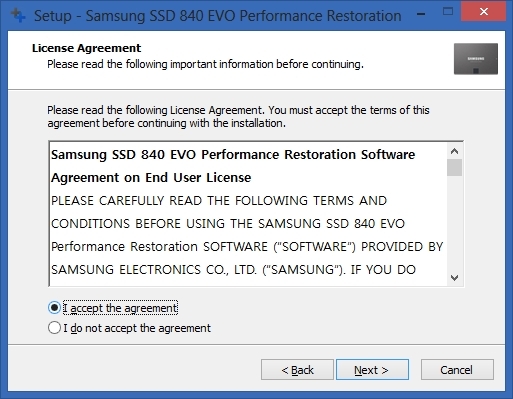 Getting ready to do this on my SSD this weekend and noticed that the last 2 links are no longer valid. You might want to look into them. Great article. Hopefully I'll get my speed back. 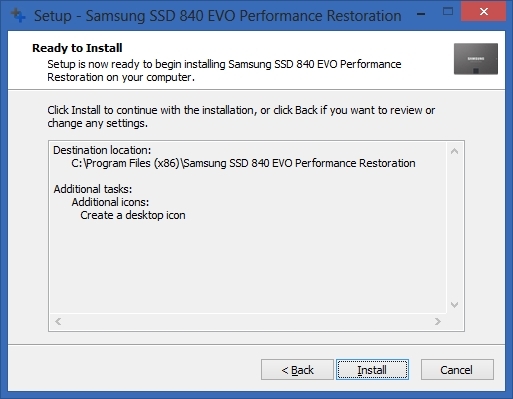 Update: After researching the Samsung website, I've come to the conclusion that Samsung no longer offers the "Performance Restoration" software. My guess is that the latest firmware update and the Samsung Magician Software are now the solution, as those links still exist. I will update the article accordingly. Running Out of Drive Letters? "OK, folks, we nailed the IBM contract. We're going to have many meetings like this to discuss features and functions...and how to move from 86-DOS, the CP/M clone we just purchased, to our baby, MS-DOS. This meeting is to discuss drive letters." "Well, even the first IBM PC is going to offer an option for two floppy drives, so we'll need A and B." "Yeah, but at the NCC in May, Shugart showed a 5.25-inch hard drive that's going to work in a PC!" "Wow! I missed that...a hard drive in a PC?! You gotta be kidding. What's the capacity of that bad boy?" "I've never seen one, but the announcement said five megabytes! And that's after formatting!" "Yikes! Who is ever going to need 5 MB on a PC?! How would you ever fill it up?!" "Who knows, but I think we should plan for it...they're already shipping 'em, although IBM hasn't announced it as an option in the PC...yet. We know there will always be two floppy drives, A and B, so let's plan on the hard drive being C."
"I'm skeptical about needing such huge storage capacity in a PC, but OK...C it is." "Look, guys, call me crazy, but as long as we're doing A, B and C, let's give them the whole alphabet! That way, we're protected forever into the future. No one could ever possibly need more than 26 drive letters!" Solid State (Hard) Drives aka SSD began to evolve in the computer industry recently. As the name suggests, there are no moving parts in the drives. 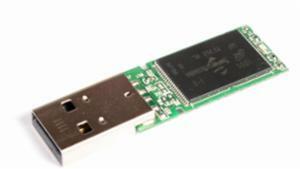 The drive uses microchip memory store the data, as opposed to the spinning disks of a traditional HDD. So it consumes much less power and needs less heat dissipation. To discuss defragmentation, we need to understand a little about the architecture difference between HDD and SSD. As I stated above, SSD is a flash-type memory which is accessed randomly - unlike the sequential access of a traditional HDD. However, the SSDs have their own limits on life span which the manufacturers tend to downplay. Unlike the physical wear and tear of moving parts on a HDD, for an SSD "wear" happens when each time a SSD is accessed every time for writing to memory. So, SSDs are not necessarily safer despite the fact that it has no moving parts. 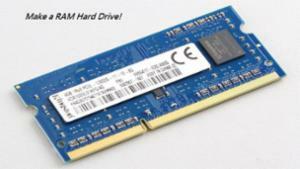 In fact, the more the SSD is used, such as in a server environment, the shorter the life time of the drive. The SSD installed perfectly in a Core i7, W7/64-bit laptop – no problems whatsoever. The laptop had awesome performance, thanks to both the upgrade to the SSD and an upgrade to 16GB of DDR3 memory. Fast forward to the end of last month and all of a sudden the machine starts freezing/hanging. The first time it happened, I figured it was the odd glitch and simply rebooted, which seemed to fix the problem. But about an hour later, same thing! Another reboot, another seeming fix, but an hour or so later...you guessed it! So I started looking for the problem. First thought was the 16GB RAM upgrade – could the memory be bad? So I ran Memtest86 overnight, completing almost three full passes. No errors! Second thought was Classic Shell, which I installed because I don't like the W7 Start Menu. The problem seemed to occur when I hit the Start button, but this proved to be happenstance, as the problem did not go away after uninstalling Classic Shell. Perfect timing! I just installed one to my laptop yesterday and wouldn't want to have to wait 8 months for the laptop to start freezing up on me (and I am sure the last thing I would suspect is a drive that had been working properly for 8 months). Updated the firware from 000F to 010G and look forward to a fully responsive laptop for years to come. Thanks for writing up your experience / findings. I'm just glad I saw this tweeted today (I don't always check Twitter). Your hard drive is full! Do you know what is filling it up? A small free (trial period) utility will solve the problem. It is SpaceMonger. It can show you visually the content of your hard drive as blocks with different color and sizes depending on the actual space reserved by that block (file/folder). It is portable so you don’t need to install anything. Just download it. Unzip it. Double click on spacemonger.exe. Press open. All the hard drive will be sorted just choose the hard drive you want to discover it's content press ok and you are there behind the blocks that represent your hard drive folders. And, you can zoom-in and zoom-out to focus on a folder to see its content. A PC-compatible computer with an Intel Pentium-compatible processor. We recommend an Intel Pentium 3 or 4, Intel Celeron, or AMD Athlon, running at at least 500 MHz. 64 megabytes of RAM --- but we strongly recommend much more RAM if possible; if you're scanning large disks, you will need it. 256 megabytes may be sufficient for home computers; 512 megabytes or more is recommended for business computers; and one or more gigabytes is strongly recommended for large servers. Minimum 640x480 in 256 colors. 800x600 or 1024x768 in truecolor (16 million colors) is strongly recommended. 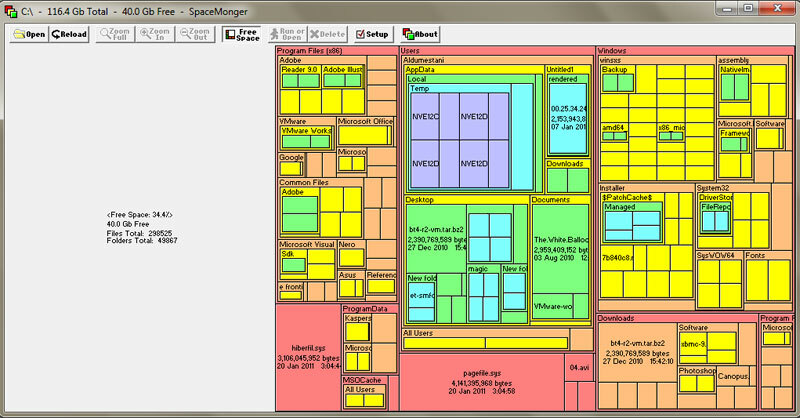 I think WinDirStat seems to look a lot better than SpaceMonger. It's free and works fine on Win 7, huge files, etc. How does this "Save wasted space" on my hard drive? Perhaps the title should have been "See wasted space on.." or "Visualize folder data on.."
Many people find themselves in a situation while using PC's that they suspect or find out they have a hard disk problem. The big question then is what to do about it; how to handle the problem, and in which order. This article is intended to help people with those problems. 1-How to set up the PC? a) If you have a PC with an OS that is fully functional, I suggest to take the problem drive and hook it directly to the SATA or IDE connector - so don't use any USB bridges, or external USB boxes. An IDE drive is best connected with a separate IDE cable, and jumpered as Master (you don't need the cd drive at this point, so disconnect it. Any SATA drive is Master on its own cable, and can be connected without any jumpering problem. well - i can only say i ran it on about 40 problem drives - maybe more, and never lost data. 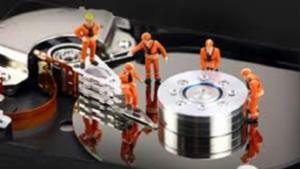 This is a little compilation of tips and procedures to help with data recovery from a failed / failing hard drive. 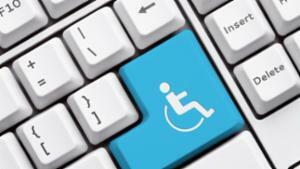 The information here can be applied to Desktop/Server/Laptop and external hard drives. All of us have at one time or another been faced with a bad drive. Most often data gets lost on storage media such as hard disk, floppy disk, RAID arrays, CD/DVD and from other electronic storage devices. Data loss occurs either by physical damage or logical damage. In case of physical damage a CD can have scratches on its surface; a hard disk drive read/write head can crash and a tape can just smash up. In case of logical damage the data is not lost rather somehow its addresses on storage media are inaccessible such as formatting and deletion comes under the category of logical damage of data. After the initial tearing our hair out in frustration is done over with here are a few guidelines on what can be done to try and get your data back. > First off, if you can see the drive in Windows Explorer, but are getting errors in trying to read the data try running a Disk Check. Right click on the drive, select Properties, Tools, and select Check drive for errors. > You can also do that by running a chkdsk /f from the command prompt. 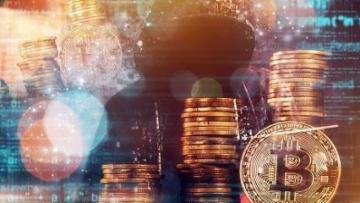 Very nice article; however I would strongly recommend AGAINST Stellar Info and their software. I just had a miserable experience with them. Their software is buggy and dated, wouldn't activate my license without one of their engineers remoting in and manually performing some task (their automatic activation server feature was down for 2 1/2 days before they manually did it), and finally their support was atrocious; slow to respond, weak explanations and poor overall communication. There are much better actively supported freeware utilities out there, and there are even user groups and donation-based remote assistance available with a simple Google search. I would recommend Runtime.org for utilities and Stephen at FreeDataRecovery.us for remote help.